Reyes Mezcaleria in the North Quarter has already become a fave destination for those searching for authentic flavors of Mexican cuisine, but the resto/bar is generating, ahem, buzz, for a polarizing Oaxacan delicacy it offers – chapulines. These small grasshoppers, fried and sprinkled with garlic, lime, salt and chilies, make for a bueno bar snack akin to pretzels, potato chips or nuts. They've got a nice crunch, an earthy bite, and they pair nicely with mezcal's smoky notes. Order a flight of the distilled potable and you'll get a complimentary bowl of the wee buggers; otherwise it'll cost you $4. 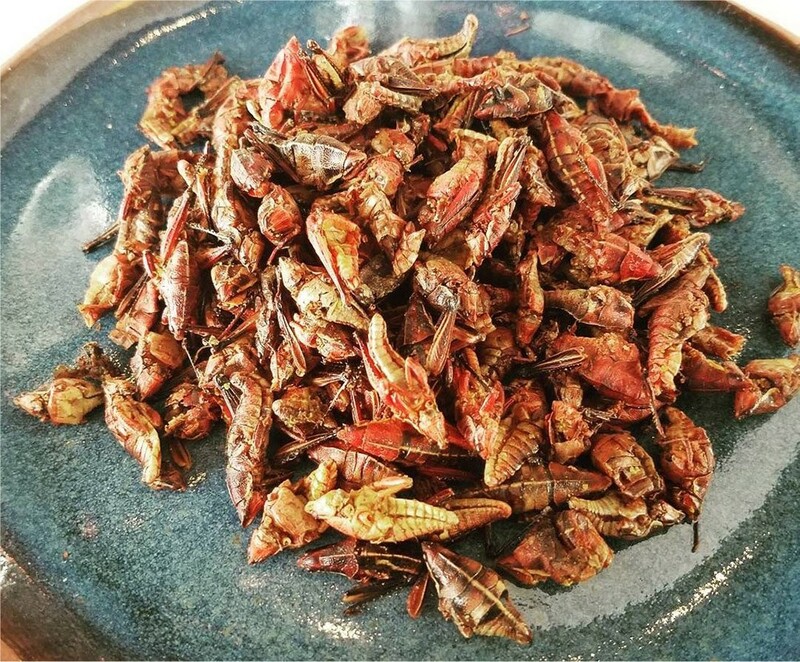 If you're not convinced, the health and nutritional benefits of high-protein, sustainable chapulines likely won't convince you either, but if you're the least bit curious, this snack will, literally, give you wings.